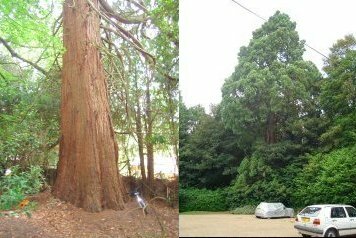 Thanks once more to Luke and friends who have put tremendous effort into getting even more photographs and measurements of these trees, as well as others in Haslemere: Polecat Copse, Black Down and Marley Common. 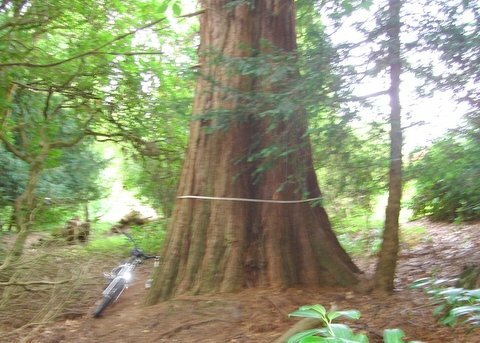 You can see the tape measure in the "Near Woolmer Hill" tree picture above. 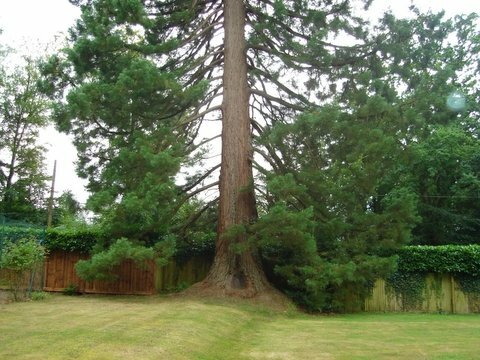 While Luke was out searching he found the Chase Lodge tree in someone's garden. The women that lived there very kindly allowed him to measure the tree. Thanks once again Luke, and thanks also to all your friends and the ladies who allowed Luke to measure and photograph their tree.